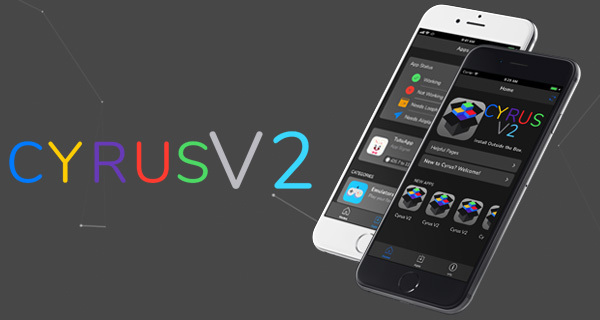 You can now download Cyrus V2 Installer for installing iOS 10 tweaks without jailbreak on compatible iPhone, iPad and iPod touch devices. Here are the details. If you are familiar with the original version of the Cyrus Installer and have actually used it yourself to install apps, tweaks, and modified experiences without needing to be jailbroken, then you are going to love the version 2 of that app, which introduces a fresh new design as well as making a lot easier to navigate and install all of the content hosted within. The original Cyrus Installer was one of those “Cydia alternatives” which managed to get a lot of traction early on based on the fact that it was relatively easy-to-use, simple to install, and that it offered a fairly decent selection of content for users to peruse and install. There was also the fact that, like many other installer apps, it doesn’t actually need a device to be jailbroken or to have any type of root access in order to function. The team behind Cyrus has clearly been taken aback by the success of the platform and have moved swiftly to try and make it even better with an overhauled version 2. That overhaul involves bringing in a new layout customization tool which lets the end-user dictate how the application physically looks. There is also a new themes and updated tweaks section which gives a hugely improved experience for all of those interacting with it. That visual improvement also includes new fonts and newly designed buttons to make content more accessible and appealing to all Cyrus users. All of the changes around this latest version not only appear to be focused on improving the overall user-experience but also ensuring that the relevant information is at the user’s fingertips as soon as they want it. This overall change makes the whole experience more usable. In a marketplace where there are lots of competitors, such as TweakBox, AppValley, TuTuApp etc. as an example, each individual platform really needs to make subtle changes to make itself stand out from the crowd. It seems that Cyrus is taking that step forward, but there are still certain elements that let it down, such as an overly cartoonish interface and slow loading times which are likely derived from the fact that it appears to be a web app running in a native app shell. Still, version 2 is definitely an improvement and one worth downloading. 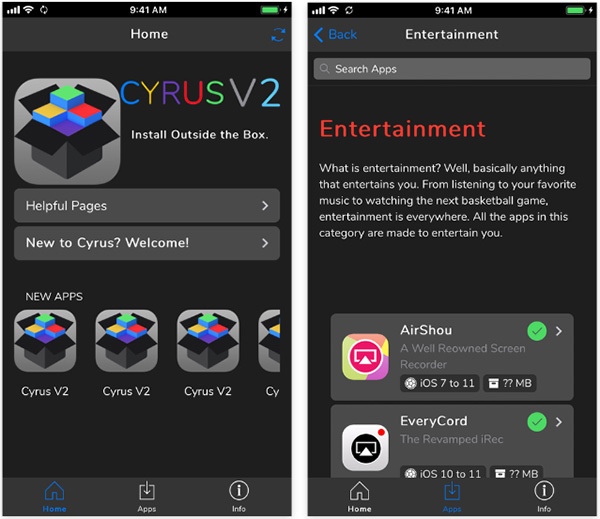 To get started simply head over to cyrusinstaller.com/v2-index.html and hit the download button to begin downloading and installing Cyrus V2 on your iPhone or iPad. I installed this today and can’t use it because it gives off virus warnings! !